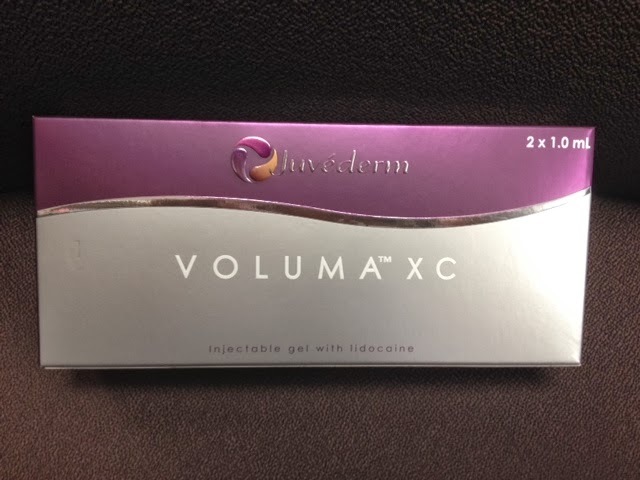 Allergan (maker of Botox and Latisse) just got FDA approval of a new Hyaluronic Acid filler called Juvederm Voluma XC. What is really cool about Voluma compared to other Hyaluronic Acid wrinkle fillers is that it was formulated to last - TWO YEARS !! This is longer than all other hyaluronic acid fillers (Restylane, Juvederm Ultra, Perlane, Belotero, etc.) which last from 6 to 12 month. Juvederm Ultra Plus is close at 12-18 months. Voluma is approved for use in the mid-face to bring back volume that is lost with age or sun damage. It does contain Lidocaine so would not be suitable for someone with a lidocaine allergy. Voluma and other hyaluronic acid fillers are non-permanent but do stimulate collagen to regenerate in the wrinkled skin. Many dermatologists believe this collagen stimulation to be a lasting effect so that after having a handful of these treatments you may need less product. Voluma and the other hyaluronic acid fillers can be easily reversed with hyaluronidase enzyme so have no fear if you change your mind. Voluma is now available at my practice, Gateway Aesthetic Institute and Laser Center of Salt Lake City, Utah.